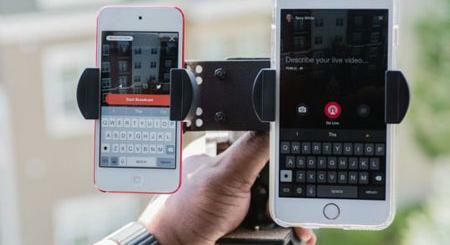 Many of us have used smartphones and tablets to livestream or capture videos on the go. 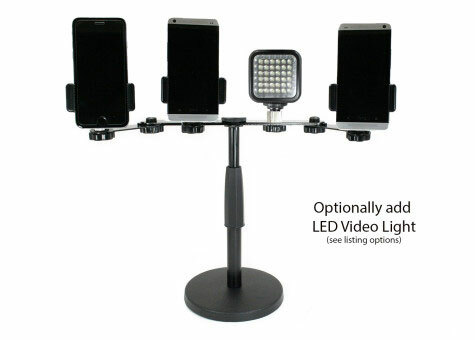 With the 3 Device Multicaster, you can use up to 3 devices to livestream. It comes with an adjustable desk stand with 3 device mounts. You can attach 3 phones or 2 phones and a tablet. 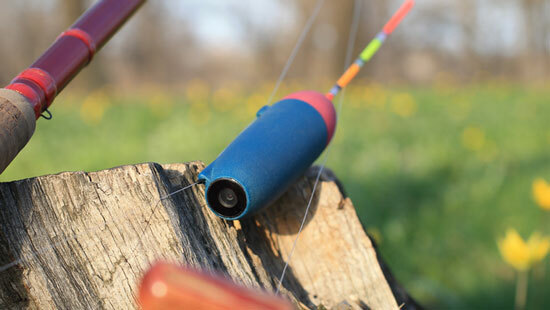 The device lets you capture at any angle. The height can be adjusted from 8.5 inches to 14 inches. 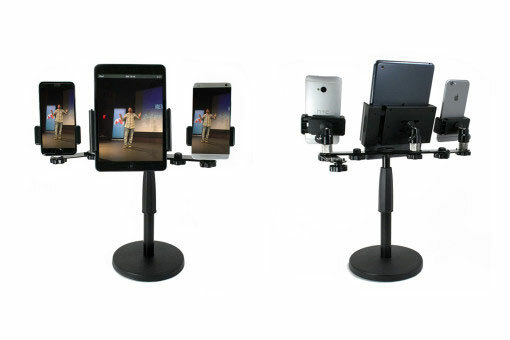 This 3 Device Multicaster could prove useful to Periscope and Meerkat users. Costs under $90 at this time.